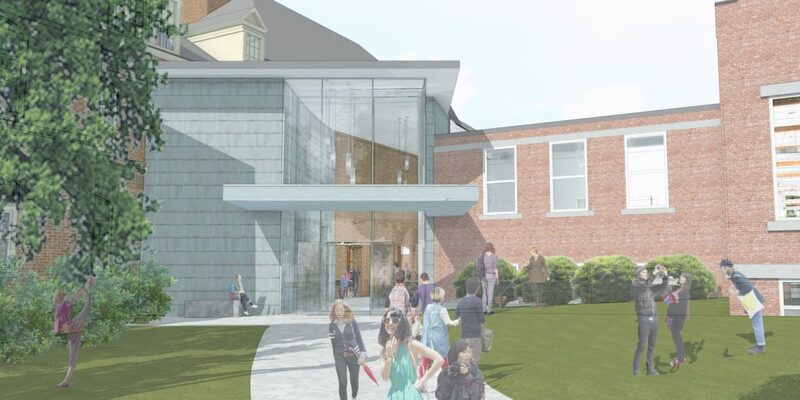 Tilton School wanted to update their Master Plan by analyzing their campus site and facilities to identify strengths and weaknesses of their programs, buildings, and open spaces. The school wanted to explore how best to re-purposing existing facilities before undertaking any new building design. 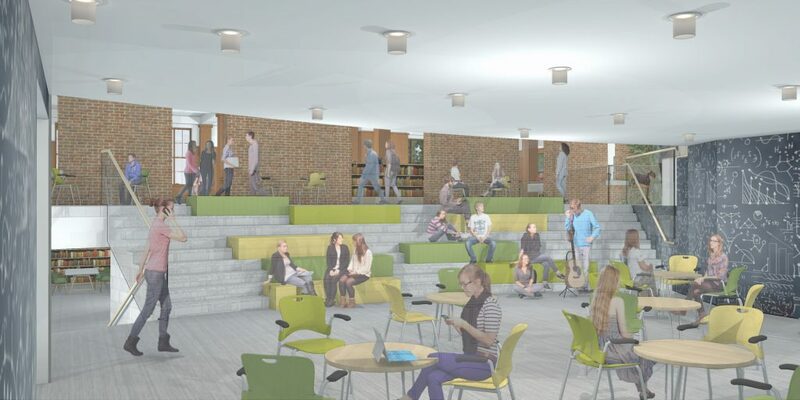 Working closely with the Planning Committee, we developed a series of initiatives and building renovation projects to unify and enhance the academic, social, living, and recreational spaces on campus. 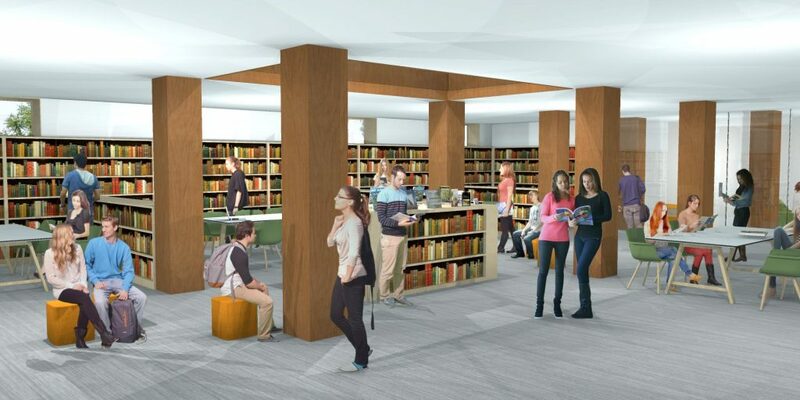 Through careful study of the campus and programs, we identified several key projects that would have the greatest impact on the student body and faculty needs. 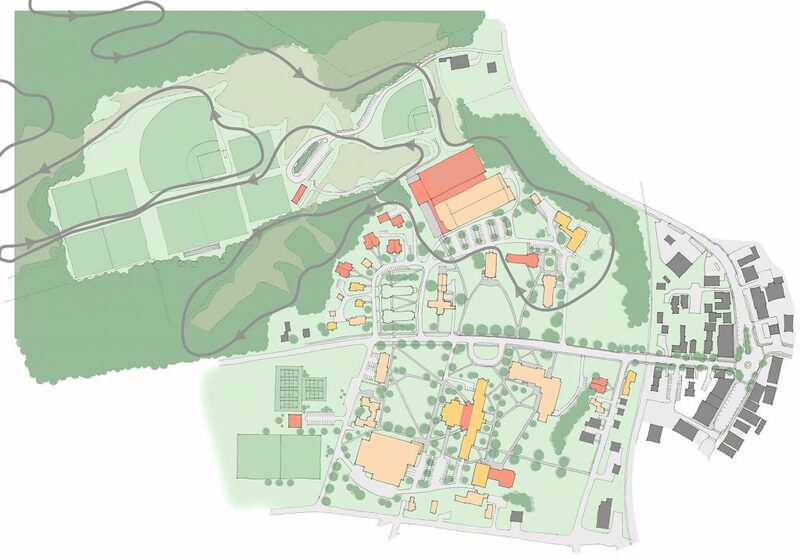 The library and dining hall are currently separated by a main road that bisects the campus. 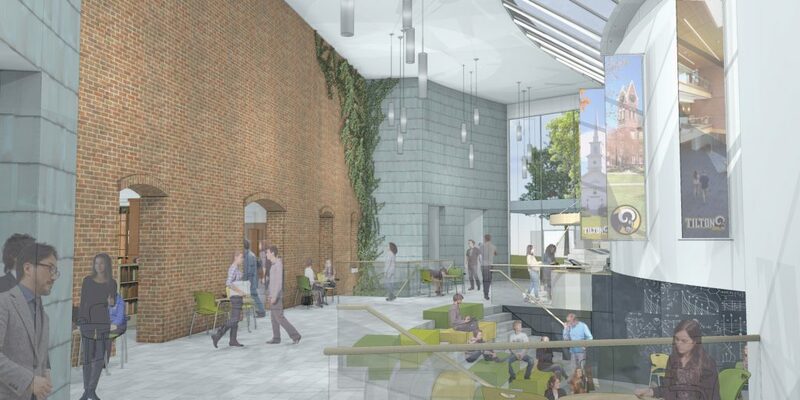 By bringing the library and a new student center closer to the dining hall, we created a central location for students to dine, learn, and collaborate. 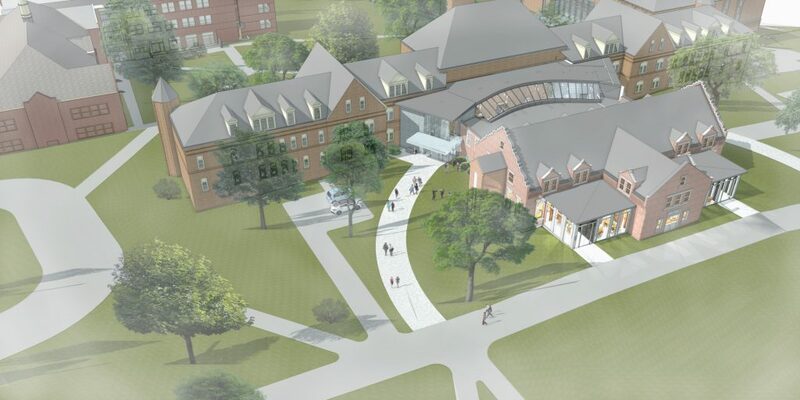 Other explorations included a study of campus connectivity, a Fine Arts building, parking, student and faculty housing, and athletic facilities on campus.